Make A Scene is a new inspiring event at Theater rotterdam filled with battles, masterclasses, panels, showcases and theater! As community, building a scene, workshops and battles, causing ruckus and pursueing personal victory are some of the core values of this event, we thought about the concept of a totem pole: The beacon of a community where an important story is told, with the most significant element as the top piece. With the OG’s at the bottom the new generation builds upon their legacy. The experienced guides will lead the way to shine… But there’s only one with the craziest of skills, and we’ll all know it! The crazy peoples from Opgewonden are throwing parties like no other, I throw hotties like no other! 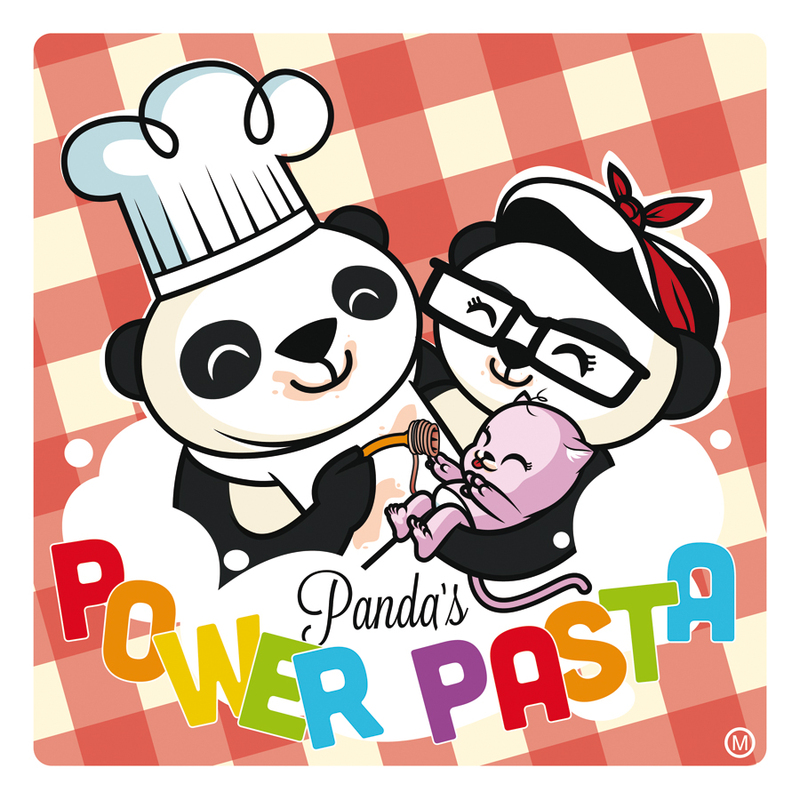 Made New trademark/logo for these guys. 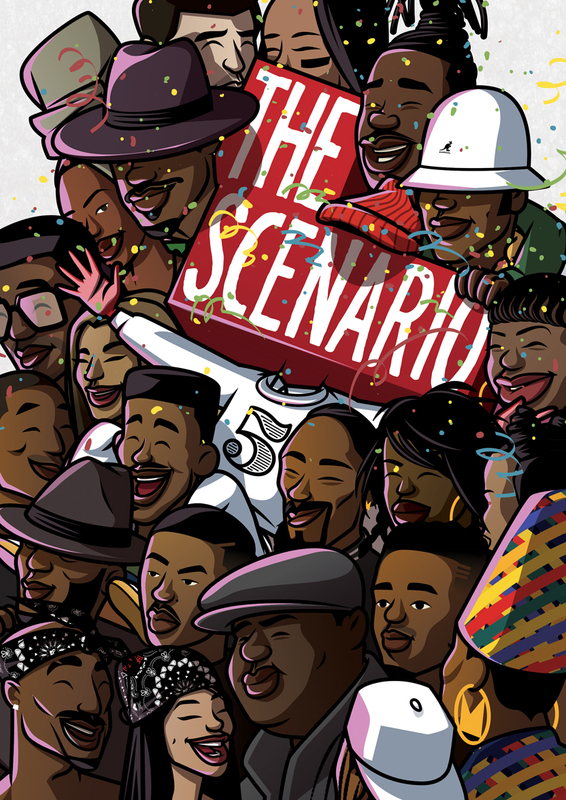 HAPPY 5TH ANNIVERSARY THE SCENARIO! I drew every artist they ever featured as a poster the last 5 years. Had major fun making every 22 of them! 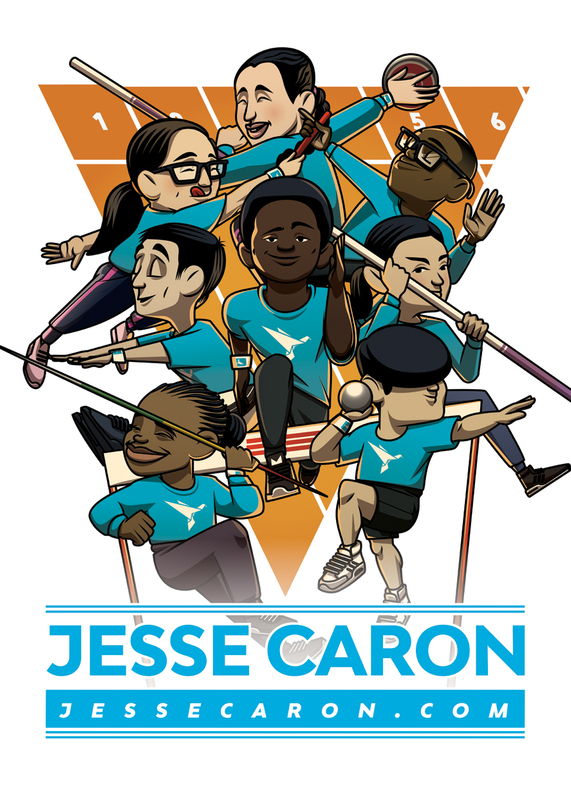 Athlete coach Jesse Caron asked for a playful illustration where his young trainees display the main Track & Field subjects, so we made it for him! 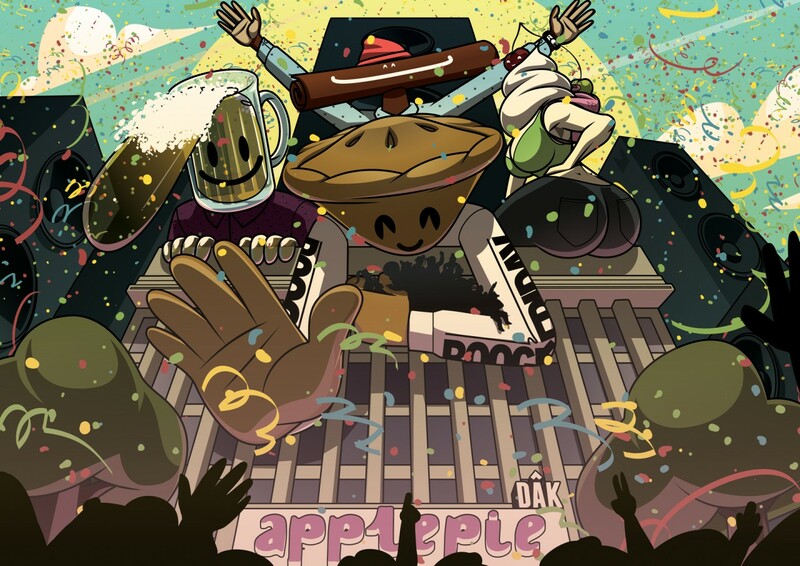 Applepie Rooftop Party 2015 was a giant success as closing event of the temporary Rooftop venue DÂK Rotterdam. So this year my friends at Boogie Friday decided to throw another one and give me carte blanche for the design. I decided to give it a more playful spin in comparison with the previous design and introduced the following characters: Applepie Guy, Cinnamonsieur, Cheri Pie and Birimang! Master personal coach Jesse Caron coaches young and old but has is focus on the pro athletes in the game. Young professionals know where to find him. He finds ways to increase speed and force on an insane level for his trainee’s! 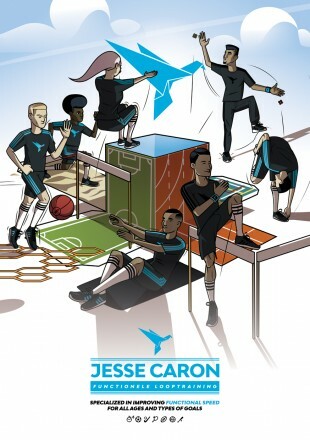 To explain his process he asked MB to make an informative illustration to showcase his exercises towards future clients. So I’ve visited him, we analysed his process and translated it into this nice graphic! 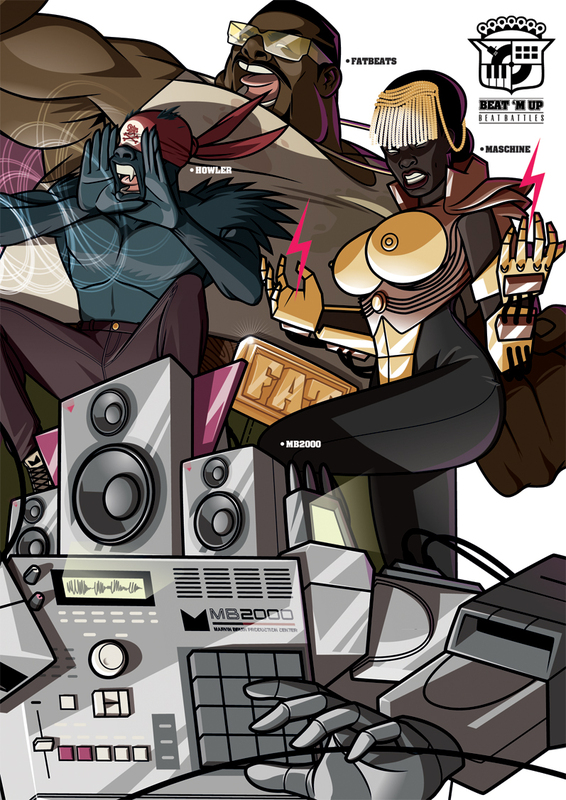 The complete Beat M Up Poster is officially done! This IS the biggest illustration this studio has produced! 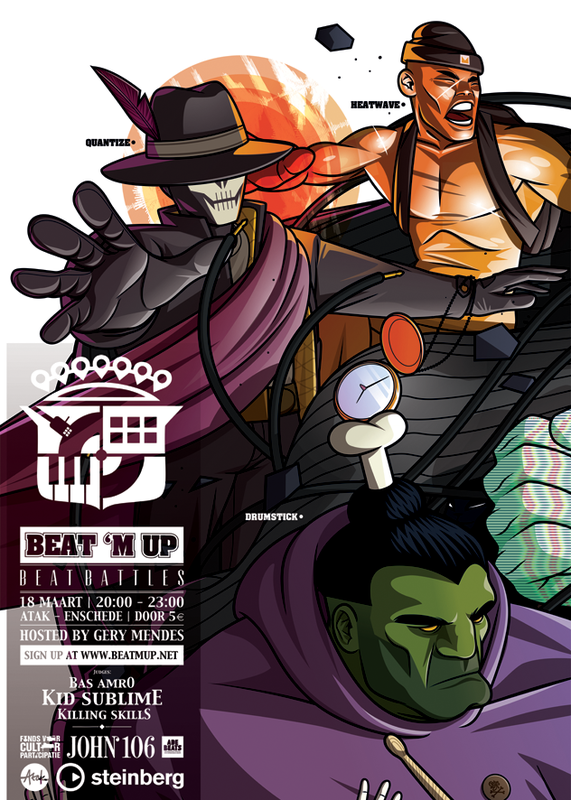 Beat ‘M Up was and is the biggest beat battle event in The Netherlands and after a few years hiatus, this crazy event is returning for 2016. With it’s eight events and a slamming national battle, MB has developed an eight piece poster where each piece is an individual flyer, filled with superhero and villains that have supernatural musical powers! 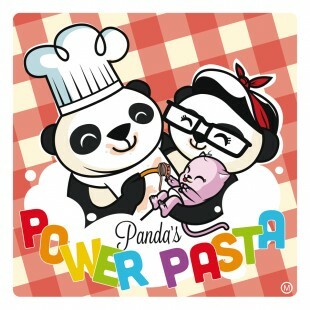 All these characters are developed by MB as well. Part 2/8 of the series. This will be the biggest illustration this studio has produced! Beat ‘M Up was and is the biggest beat battle event in The Netherlands and after a few years hiatus, this crazy event is returning for 2016. With it’s eight events and a slamming national battle, MB has developed an eight piece poster where each piece is an individual flyer, filled with superhero and villains that have supernatural musical powers! 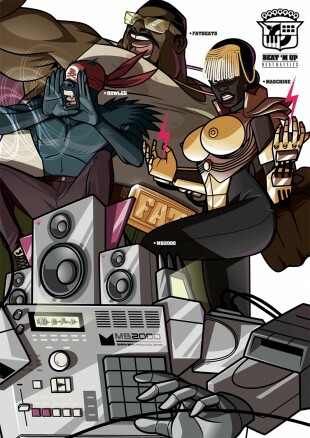 Do you remember all those old superhero mashup posters from Marvel and Streetfighter? Thats what we’re about to do for Beat ‘M Up! Keep in check for the newest ones and collect all the flyers to complete it. Part 1/8 of the series. This will be the biggest illustration this studio has produced! 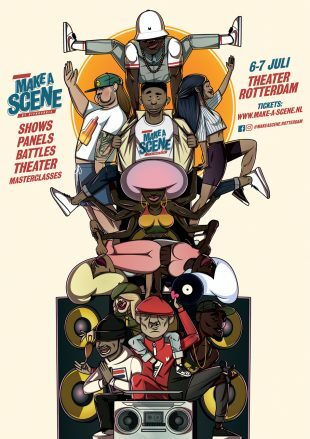 Beat ‘M Up was and is the biggest beat battle event in The Netherlands and after a few years hiatus, this crazy event is returning for 2016. 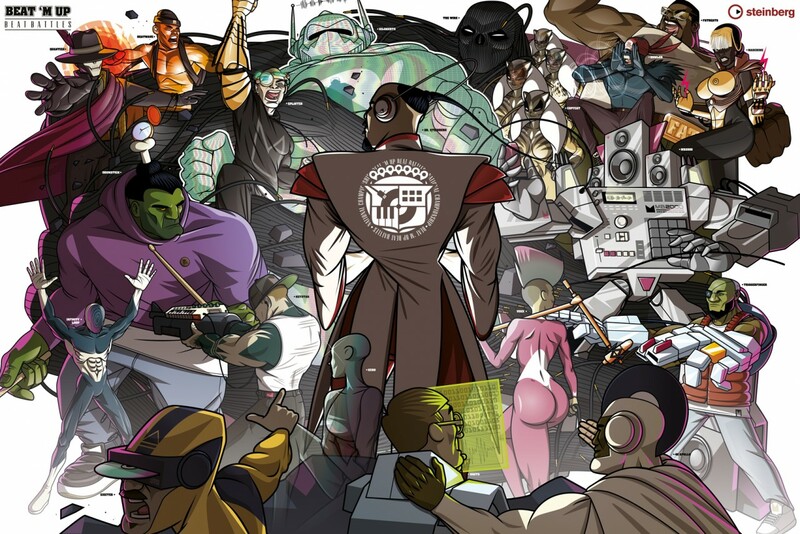 With it’s eight events and a slamming national battle, MB has developed an eight piece poster where each piece is an individual flyer, filled with superhero and villains that have supernatural musical powers! Do you remember all those old superhero mashup posters from Marvel and Streetfighter? Thats what we’re about to do for Beat ‘M Up! A gift for Cat Kailola & her parents.